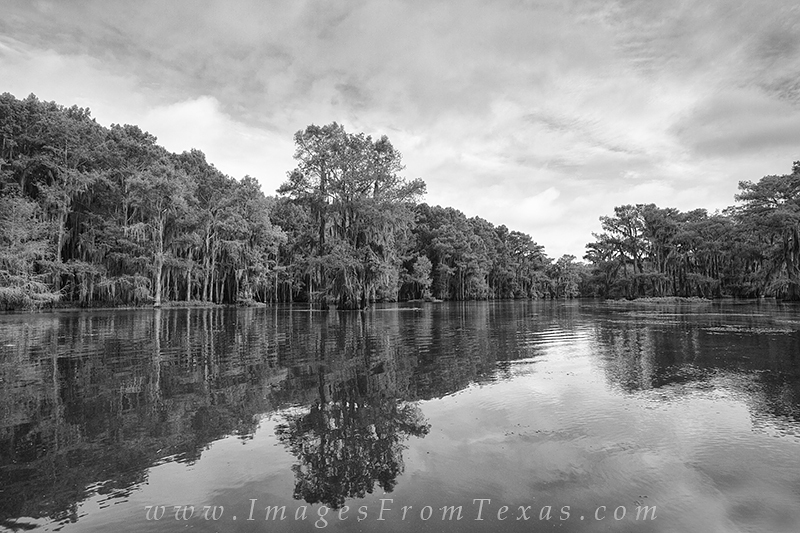 Caddo Lake makes for strong black and white photography opportunities. The cypress trees and spanish moss give this area a mysterious feel, and every corner offers a unique perspective of this 25,000 acre lake in east Texas. Photo © copyright by Rob Greebon.